I love to scrapbook and I recently started project life but I’d like to think my mini albums are my signature. They are a ton of work but look SO, SO good when they are complete. Only those who scrapbook can REALLY appreciate the time and effort that goes into them but they always impress even the least interested. I love having a theme, sifting through photographs to choose only the finest to share in the limited spaces and the challenge of spatial arrangement on an interestingly shaped canvas. Recently a friend has asked me some questions around how the base album is prepared so once again, I have become inspired to share this with all! This will be my very first process tutorial so let me know what you think! 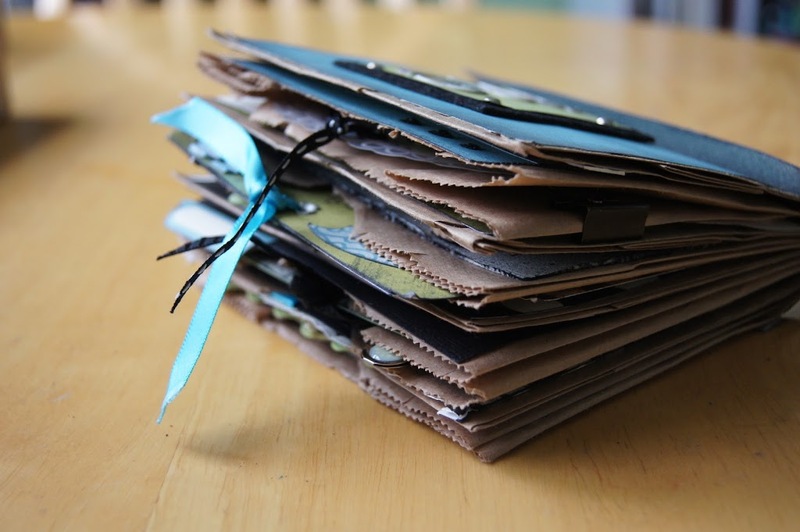 Mini albums can be store-bought or made from scratch. 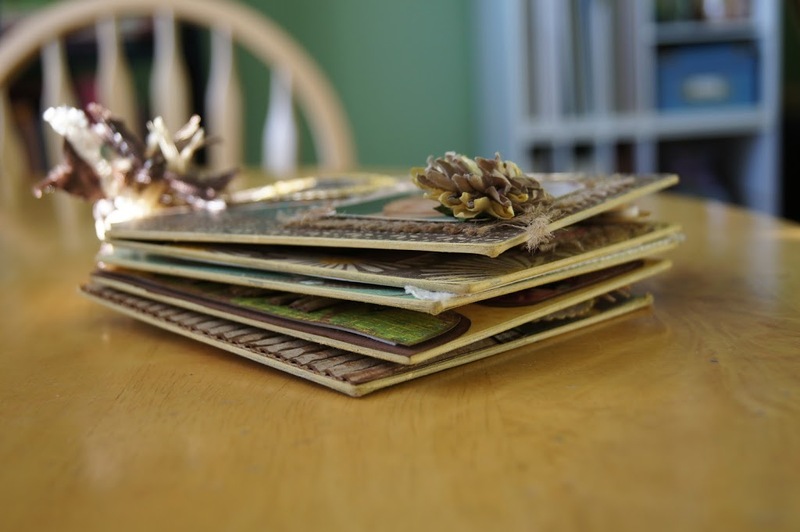 You can find pre-made chipboard albums cut into words or fun shapes in most department store craft sections, craft supply stores and even the Dollarama. They can be basic cardboard shapes or kits that include accessories such as eyelets and binding rings. Quality ranges from cheap box board priced at about $1, to thick colored chipboard made by popular scrapbook designers which will run you about $15. You can also purchase themed mini album kits that are already paper covered and come with matching embellishments. If you chose to make an album from scratch, then the creative possibilities are endless. You can stick with a classic chipboard album using a design of your own or you can use some of the many household items you have lying around, like paper bags, shipping tags or a pair of flip flops. 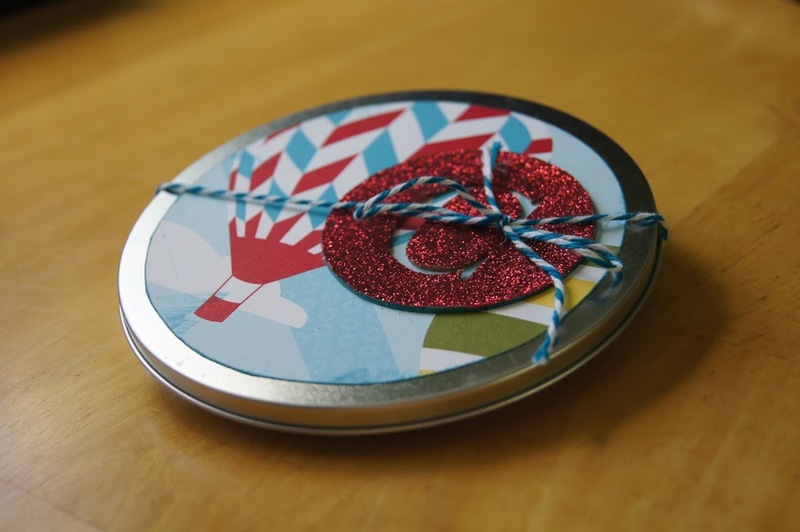 You can make an album that sits in a box, tin or can and you can decide if you want to use something fun like cork, fabric, leather, felt or foam as a base. You can also get creative with bindings. You can use a coil binding machine or use metal hooks to keep the pages of your album together or make an accordion style album that folds out horizontally or vertically. 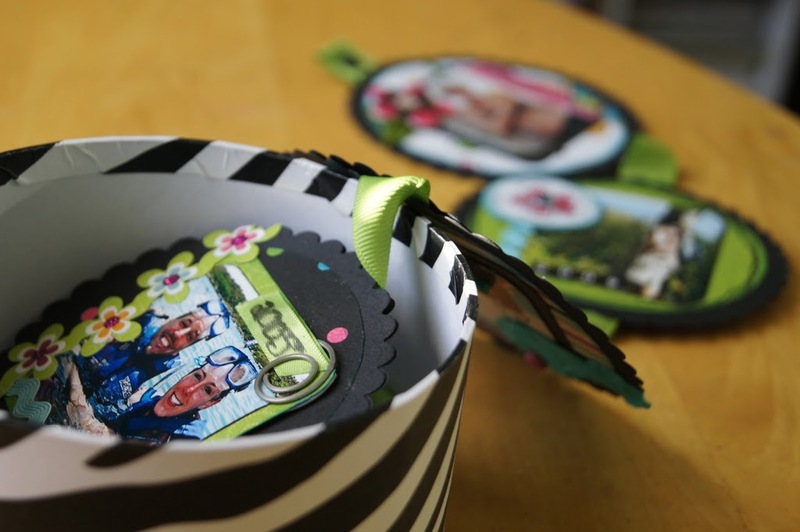 Mini albums are a great place to showcase colorful themed ribbons too so many use this as a binding tool. With all these possibilities, I decided to narrow the tutorial down to the basics of making a simple album from scratch. Collect materials you can use for your base album such as box board from cereal boxes or packaged goods, milk cartons, craft foam, hard felt e tc. Not to worry about Tony the Tiger flashing his grin across the front of your album, a later step gives you the option to cover your album base. Decide what shape you want your mini album to be. You might find an image off the Internet or a template from a magazine to use or you can draw your own. Keep in mind that the more intricate the shape, the more challenging some of the later steps will be. 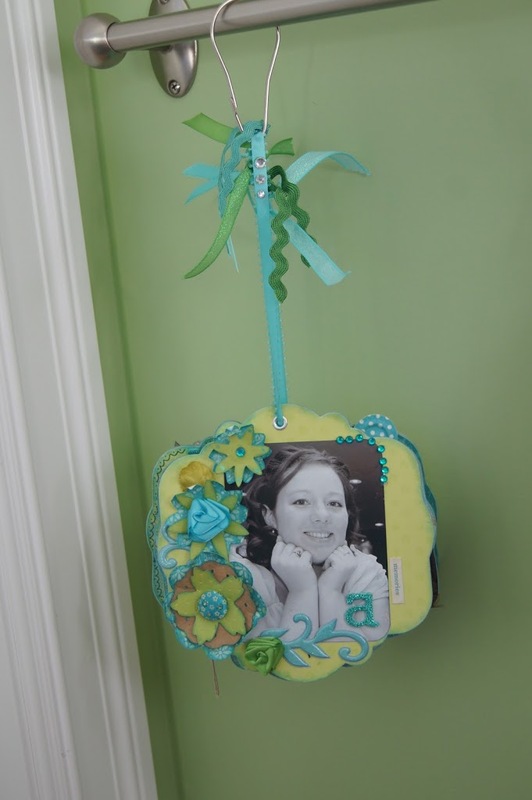 Also consider the size of the album for printing pictures and displaying your embellishments. 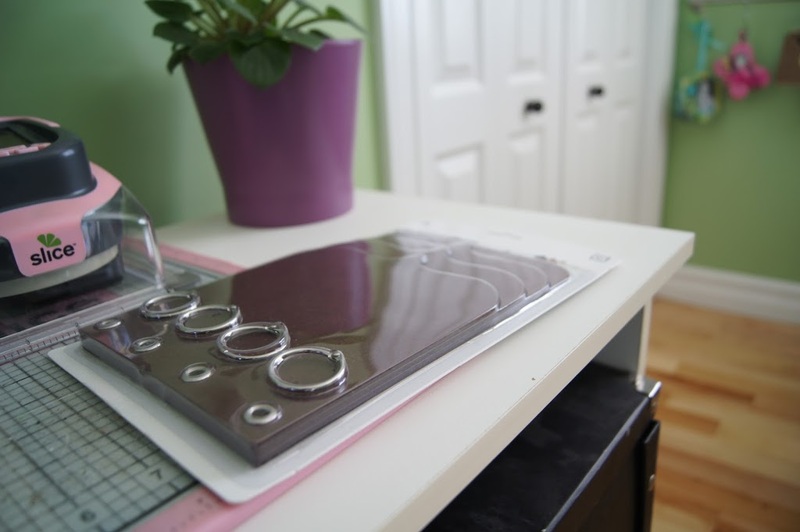 Trace your image, pattern or design onto the box board or alternative base material. Repeat this step without overlapping in order to make multiple pages for your album. One option if you have limited materials or time, is to make only a front and back cover and use basic card stock for the inner pages. Cut out each of the traced shapes. Some die cut machines give you the option to cut materials other than card stock so you can choose a shape from one of your cartridges and have it cut for you. If you don’t have a die cut machine, you can use good sharp scissors or a craft knife. If you want to cover your base album with card stock or paper then this would be a good time to stop and do some planning. Choose your paper while keeping in mind the orientation of the design on your paper compared to the shape you intend to mount it on. For example, if your paper has trees all over it and it’s going to be mounted on a butterfly shaped piece of chipboard, you’ll want to ensure you cut the paper to match the album so the trunks don’t end up horizontally. Also think about which papers will be sitting next to each other when the album is open. Perhaps your favorite paper will be on the front cover and your least favorite on the back. Or maybe you want the front and back cover to be the same paper. These are the things that you decide in this planning step. I like to pick multiple coordinating paper designs and then pre-plan where each paper pattern will sit in the album, so I number the box board shapes in order and then number the paper so I can cut and paste in the next step without much concern. Take one of your cut baseboard album pages and lay it on the paper of your choice and trace the shape much like you did in step 2 and 3. Repeat this to have enough shapes to cover as many double-sided album pages as you would like. If you like the idea of having a nice clean edge on your album, then you will have the option to sand the edges. If this is something you’d like to do then don’t put too much effort into cutting the shapes out perfectly. Just be sure to cut on or outside the line. It’s better for there to be a bit of an overhang versus the paper being too small to cover the album right to the edge. This step is for adhering your paper to your album base. 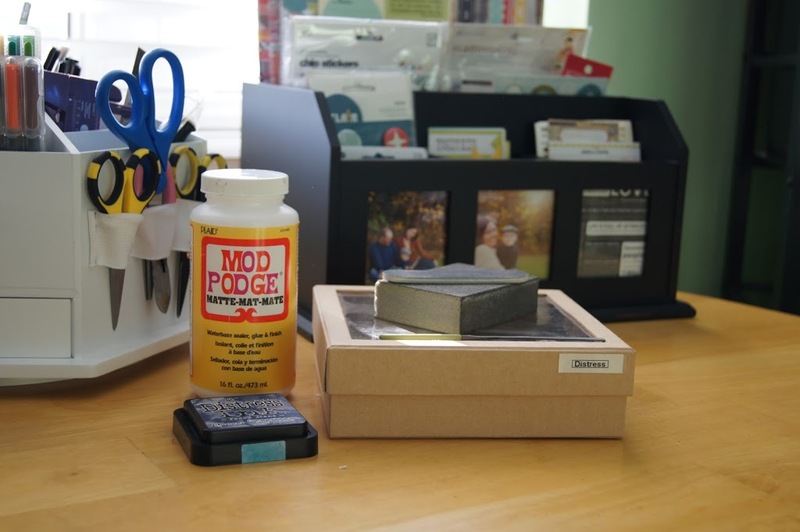 Modge Podge is a tried, tested and true adhesive for this step. I am sure other things would work but I have had perfect results with this inexpensive crafting staple. It dries clear so excess glue won’t ruin your album edges, plus it’s easy to clean and somewhat re-positionable if done properly. 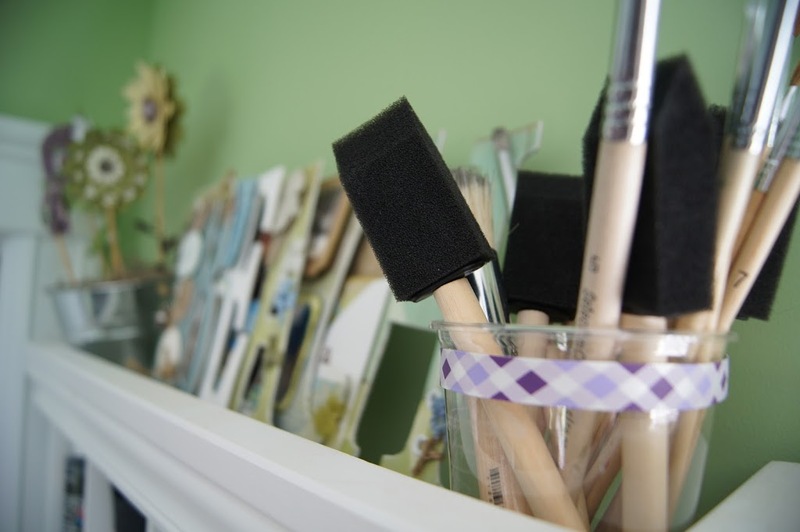 I like to use a foam applicator for this although I’m sure any kind of brush would work. 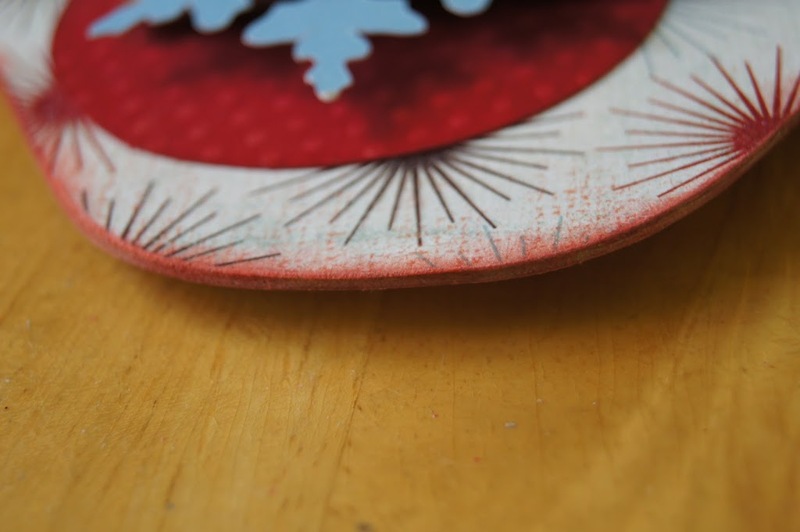 Dip the foam into the Modge Podge and cover the entire surface of the album base with glue, edge to edge. You can apply a fairly generous layer so long as you’re not soaking the paper. Drop the paper in close proximity to the album base lightly, with effort to line up the edges. Once dropped, lightly tug the paper floating on the glue surface to a more perfect alignment with the album edge. When you are happy with its placement, rub the surface with light pressure from the center of the album outwards. You can put the pages between a thick book or use a rolling pin to flatten and adhere the paper to the album. Clean up any glue on the edges with a paper towel. 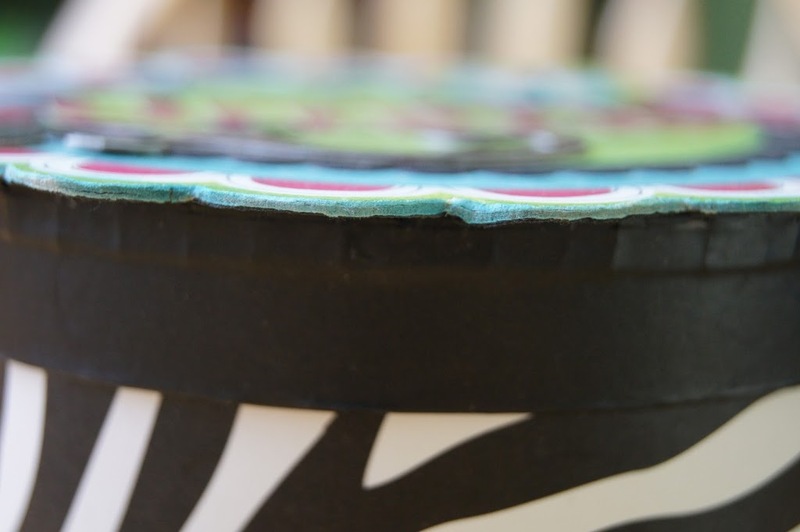 You might like to leave your album edges unfinished for a more rustic look, especially if using something like corrugated cardboard or fabric in which this step would be not applicable. If you like a cleaner look, sanding is well worth the effort in my opinion. It makes the paper appear as if it is one with the album. Seasoned scrappers should look in their tool kits for a sanding block or metal file that can be used for this step. Others can use any old emery board, but the bigger the better. Sanding is one of those tedious no-brainer tasks so I like to sit down and watch one of my shows while I do it. At the end of the show I look down and to my amazement, the sanding is all done and I barely remember doing it! It can be a bit messy though. I remember my very first mini album was chipboard with each page being a letter to spell the word, “home”. It had lots of nooks and crannies so it was a big job. I positioned myself on our black rocking chair in front of the TV and was all ready for a night of sanding. Stephen comes in to give me a kiss and heads out to run a few errands. He returned two hours later to find me sitting in the exact same position and a few pages in. I stood up to greet him and for some reason he started laughing….in fact he couldn’t stop laughing to tell me why. He pointed to the chair where I was sitting, so I turned around only to find so much paper dust, that it created an outline of the shape of my body from the top of the chair all the way to the carpet!! Of course my clothes were completely covered as well. So, lesson well learned…wear an apron and be prepared to vacuum after this step. There is a bit of a technique to this step because if you slide your emery board back and forth then you are bound to tear the paper. Instead position the emery board at an angle with the edge and slide downwards only. You can flip the album over periodically to give it a nice well-rounded edge from both sides. Keep your scissors handy to clip down jagged edges and eliminate sanding time. Don’t get too caught up on imperfections because even with little glitches, I guarantee you your finished look will be fabulous! You have the option at this point to ink the edges of your album. You would use the same technique for inking the edges of your card stock when scrapbooking. I have used chalk and water based inks for this and both work extremely well. I’m sure an alcohol based ink would work but a pigment ink might be more difficult with the longer drying time. Basically you take the edge of the album and rub it along the edge of the ink pad using the same motion as when you were sanding. The purpose is to add a splash of color to the album while enhancing the appearance that the paper is one with the album. You can do longer strokes to get the ink absorbing further onto the paper surface for a distressed look as well. Your album pages will just POP in no time! At some point you will need to bind your album pages. 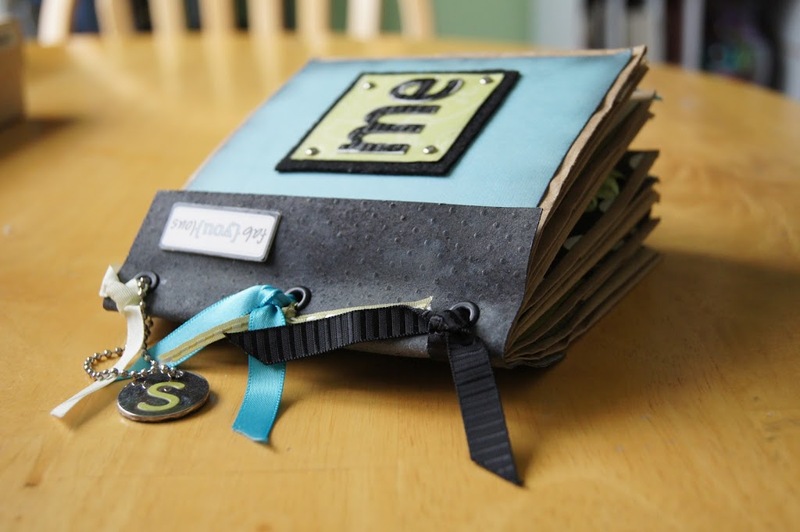 You should consider the space needed for your binding choice as you add to your scrapbook or just bind it first. You can punch a hole or multiple holes in each page and feed twine, string or a metal loop through to keep your pages connected. I like to use eyelets around the holes for a polished look. You can get as fancy as using a bind-it-all machine for a coil bind or as simple as tying some ribbon around the pages instead. This is part of the creativity in making each mini album unique. At this point you have your blank canvas ready to showcase your memories and ready embellish in some of the coolest ways! I hope you found this tutorial helpful. These are so cute! They would be great to give to friends and family members. Maybe one day I'll try it with your directions!